Michael Laverty will again compete in the British Superbike championship in 2016 after re-signing for the Northern Ireland-based Tyco BMW TAS Racing team. The Toomebridge rider was fourth in this year's series after winning a race at the final round at Brands Hatch. He will be joined in the team next season by England's Christian Iddon. "The continuity of the same bike and team is something I'm really excited about given the progress we made in the latter part of the year," said Laverty. The 34-year-old secured four podiums in his final six British Superbike races last season and will be eager to continue in that vein. "We went out with a win in the final race of 2015 and that signals our intention going into next year," enthused the former MotoGP rider. "The TAS team has some interesting developments planned for the Tyco BMW S1000RR this winter, so taking into consideration that we finished the season with a winning motorcycle, a winter of fine tuning is an intriguing prospect." 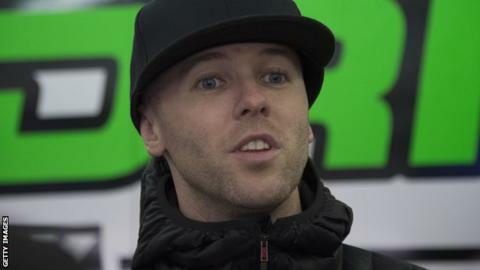 Ian Hutchinson will compete for the Moneymore-based outfit in the British Superstock 1000cc championship and the three international road races, while Guy Martin is set to retain his links with the team by taking in selected road races. Meanwhile Jordanstown rider Andy Reid will stay in the British Supersport class in 2016 after joining the Quattro Plant Kawasaki team. Reid rode for Team Traction Control on board a Yamaha R6 last season and has been out of action since sustaining a wrist injury at Oulton Park in September. The Cookstown BE road racing team, managed by former road racer John Burrows, will field Senior Manx Grand Prix winner Malachi Mitchell-Thomas, from Bolton, next season.